It’s kind of blurry…no one’s perfect! Chocolate upon chocolate upon chocolate. It wasn’t bad but it also really wasn’t anything to write home about in my opinion. My girlfriend thought it was delicious, so there is some hope for it. 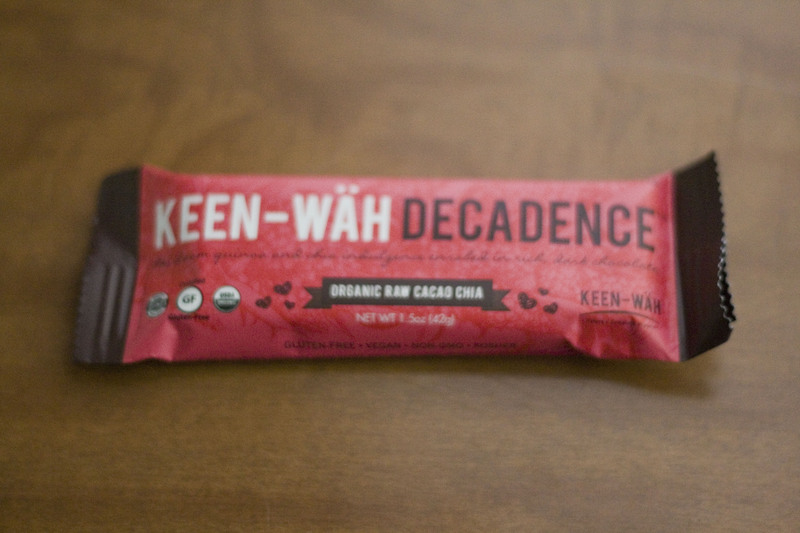 I felt it was a little dry, reminiscent of that chalky cheap protein bar taste I am not a fan of. The protein per ounce and carb to protein ratios were great but the cost per gram of protein makes this the most expensive bar I have reviewed so far (and I expect it to be the most expensive I will review, but time will tell). Given the high price, mediocre flavor, and lack of nutrients past the bare minimums, I personally would not recommend this bar. I especially would not advocate it for Burning Man given the chocolate upon chocolate; it is guaranteed to turn to a liquid clump of cacao in a foil bag in the heat out there.